Creating music for film and TV is an art – but defining the sometimes-mystical quality that will help a music score succeed is often difficult to quantify. IMRO regularly hosts seminars and workshops with leading national and international composers and industry specialists giving an insight into how they approach scoring for film and TV – from conceptualisation to composition to orchestration and the challenges that happen at each step along the way. We also cover the all too important business side of the industry with important topics such as: composing fees, composer/song credits, royalty payments, film/TV commissioning budgets, contracts, and miscellaneous sources of income being frequently discussed and so much more. This exciting programme sees The Irish Music Rights Organisation (IMRO) and the RTÉ Concert Orchestra, in association with Filmbase, The Contemporary Music Centre (CMC) and Screen Training Ireland connect the very best emerging Irish filmmakers and composers together to work on an exciting collaborative project. The initiative has been very successful since first launched, with films and scores going on to win national and international awards each year. The focus of the project is a one-day recording session in RTÉ studios. This involves the RTÉ Concert Orchestra recording original scores for up to four short film submissions received from amateur and professional Irish filmmakers. 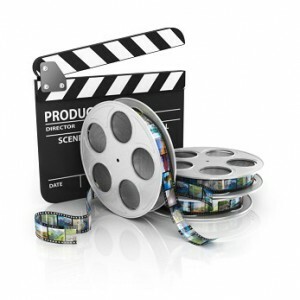 Filmmakers are invited to submit a short film or film excerpt from a longer project (eg pilot) for which the selected composers create up to 3 – 5 minutes of original score. All categories of film are accepted e.g. live-action drama, animation, documentary, experimental, etc). Each year films from this programme go on to win national and international film awards.